Jared Genser, a member of former president Mohamed Nasheed’s international legal team was denied a business visa upon his arrival in the Maldives today. Genser, the founder of Freedom Now, an organization that works for the rights of political prisoners, entered Maldives on a tourist visa when he was denied the three-month work visa. He departed to Colombo after a few hours in Malé. 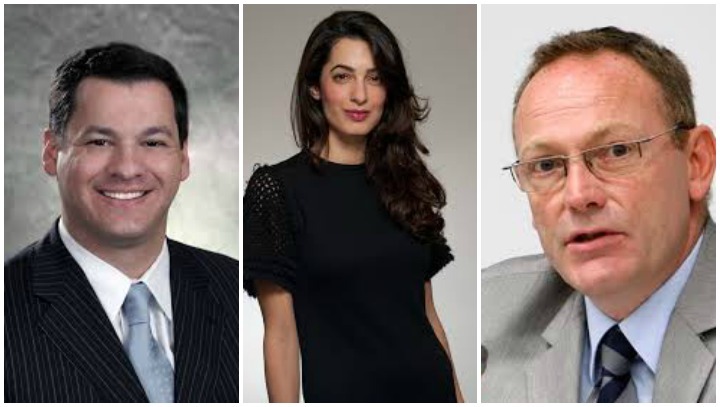 Genser is representing Nasheed along with Amal Clooney, the wife of Hollywood actor George Clooney, and Ben Emmerson, a UN rapporteur on counter-terrorism and human rights. The three helped the opposition leader file a petition with the UN working group on arbitrary detention, requesting a judgment declaring Nasheed’s 13 year jail term on terrorism charges arbitrary and illegal. Genser is expected to return to the Maldives to meet with Nasheed at a later date, a source familiar with the matter said. Nasheed was recently transferred to house arrest. The government in the response to the UN working group insisted judges followed due process in Nasheed’s trial. Diplomatic pressure has been mounting on President Abdulla Yameen’s government to release Nasheed and other jailed politicians, including two former defense ministers, a former MP of the ruling party, and the leader of the religious conservative Adhaalath Party. The police have denied jailed former President Mohamed Nasheed’s requests to contact his international legal team, stating they must first register with the attorney general’s office. The opposition leader was sentenced to 13 years in jail last month on terrorism charges in a trial heavily criticised by foreign governments, the UN and Amnesty International for its apparent lack of due process. 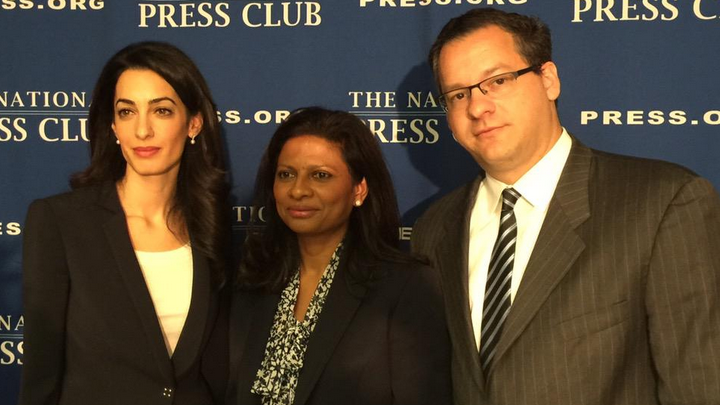 Nasheed’s international legal team is made up of heavyweight human rights lawyers including Amal Clooney, who has advised the UN and is the wife of Hollywood actor George Clooney, Jared Genser, the founder of renowned campaign group for political prisoners Freedom Now and Ben Emmerson QC, a former UN rights chief on counter terrorism. The international team is to push for Nasheed’s “freedom from arbitrary detention” through international lobbying mechanisms such as the UN working group on arbitrary detention, the opposition leader’s domestic legal team has said. The working group’s decision on Nasheed’s detention will affect the international community’s policies towards the Maldives and will inform decisions on possible sanctions, lawyers said. Speaking to the press today, Nasheed’s lawyer Hassan Latheef said Nasheed had met with a representative from the Commonwealth yesterday. However, the former president refused to speak about his trial with the British judge Peter Beaumont CBE QC, stating an additional inquiry into his trial will serve no purpose. “President Nasheed told the delegation he does not believe the commonwealth needs to do an additional inquiry into the Maldivian judiciary. He said the Commonwealth knows very well the state of the Maldivian judiciary and its courts, and so there is no meaning to do an additional report into his trial,” Hassan said. Nasheed requested the Commonwealth’s aid in reforming the Maldives’ system of governance and criticised the government’s jailing of rivals, including himself and ex-defence minister Mohamed Nazim. The result of the Commonwealth-backed inquiry into the 2012 transfer of power had undermined both the government and the opposition’s trust in the organisation, Nasheed reportedly said. The inquiry was established after Nasheed claimed he had been forced to resign in a coup d’état following a military and police mutiny. But the commission’s report found the transfer of power to be lawful and said there was no mutiny. But with growing international criticism of the trial and sentence, the government invited representatives from the Commonwealth and EU to observe an appeal process. However, Nasheed has refused to file an appeal, instead appealing to President Abdulla Yameen for a political solution. His supporters have called on President Yameen to release the former president by exercising powers granted in the clemency law. The opposition has been protesting daily for two months over Nasheed’s arrest and imprisonment. Correction: An earlier version of this article said Nasheed’s international lawyers were planning a visit to the Maldives. This is incorrect. Minivan News apologizes to its readers for the mistake. Jailed opposition leader Mohamed Nasheed has unveiled an international legal team including heavyweight human rights lawyers such as Amal Clooney. Clooney, who has advised the UN and is the wife of Hollywood actor George Clooney, is accompanied by Jared Genser, the founder of the renowned campaign group for political prisoners Freedom Now, and Ben Emmerson, former UN rights chief on counter-terrorism and human rights. Nasheed was sentenced to 13 years in jail last month on terrorism charges in a trial heavily criticised by observers including the UN and Amnesty International for its apparent lack of due process. The former president hopes to increase international pressure on President Abdulla Yameen, who has so far remained silent in the face of the opposition’s daily protests, and calls for dialogue and a presidential pardon. “I am very pleased to have such an extraordinary team agree to take up my legal defence internationally,” he said in a statement today. President Yameen maintains he has no role in the trial, but called on the international community to respect the Criminal Court’s verdict. The international team will push for Nasheed’s “freedom from arbitrary detention” through international lobbying and legal mechanisms such as the UN working group on arbitrary detention, the former president’s domestic legal team says. The working group’s decision on Nasheed’s detention will affect the international community’s policy towards the Maldives, and would inform decisions on possible sanctions, they added. Genser has represented Nobel Peace Prize laureates Aung San Suu Kyi and Liu Xiaobo, while Clooney has counseled political prisoners such as the former Prime Minister of Ukraine, Yulia Tymoshenko and Al Jazeera journalist Mohamed Fahmy. Nasheed on March 19 announced he would not seek an appeal after the Criminal Court failed to release required case documents on time, and said he is now seeking a political solution involving president Yameen. The High Court still says Nasheed can appeal, claiming judges are authorized to accept late appeals if a “reasonable justification” is given, but Nasheed’s lawyers say Supreme Court has taken away the discretionary powers to judges in a new ruling in January. Nasheed’s Maldivian Democratic Party describes Nasheed’s conviction as part of a broader government plan to silence dissent, a claim Yameen denies. Since Nasheed’s conviction, former defence minister Mohamed Nazim has been sentenced to 13 years in jail on smuggling weapons and ruling party MP Ahmed Nazim was yesterday sentenced to 25 years in prison on corruption charges.